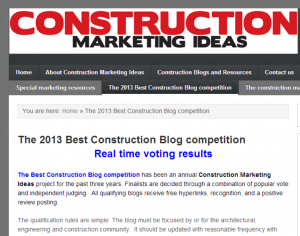 In nominating Construction Law Carolinas for best construction blog, the folks at Construction Marketing Ideas posted this nice write up about my blog and, in particular, my article on one-sided construction contracts. Construction Marketing Ideas is a blog affiliated with the construction newspaper of record, North Carolina Construction News. I appreciate the nomination, and the support Construction Marketing Ideas and North Carolina Construction News (particularly Bob Kruhm) have given to my blog by nominating it. 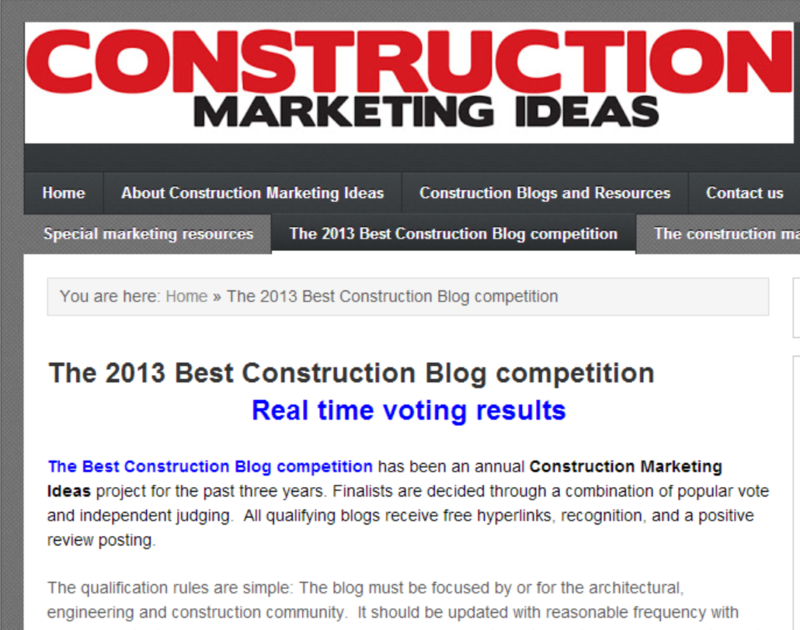 Please vote on your favorite construction blog by clicking this link. After nearly four months of captivity, we have learned that Greg Shelton has been released in a wheat field just outside of Salbris, France. Shelton, author of the Construction Law Carolinas blog, has not been heard from since his One Sided Contracts and their Limitations article was posted on November 16, 2012. 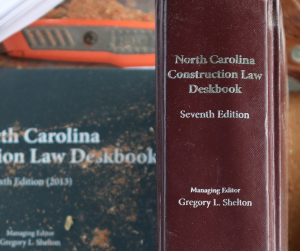 Mr. Shelton has been busy editing the Sixth Edition of the Construction Law Deskbook for the North Carolina Bar Association’s Construction Law Section. This is a time consuming task requiring coordination with authors, editors, and representatives of the Bar Association. The introduction of a new chapter dealing with employment, labor, and immigration issues has added to the already substantial Deskbook. We are pleased to announce that Mr. Shelton intends to resume work on his blog very soon. We attorneys often hammer home the importance of reviewing and negotiating solid construction contracts. Standard industry contracts offered by ConsensusDOCS, the American Institute of Architects, the Design Build Institute of America, and others, provide a good foundation for negotiations because they are reasonably fair and generally do a good job allocating risk to the party in the best position to reduce or eliminate the risk. Allocating risk in this manner comports with our innate view of fairness and is consistent with how we view the parties’ respective roles. 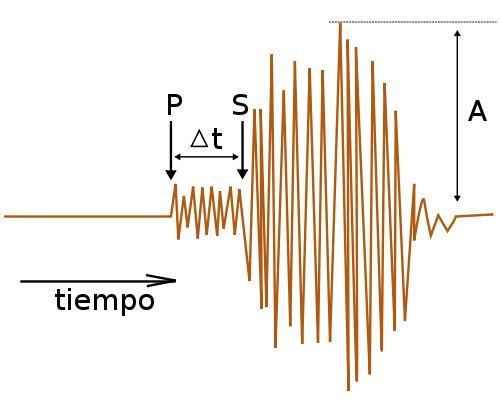 Regard this as the natural state of contractual equilibrium. II. One-Sided Construction Contracts . . . Some companies, particularly large owners and contractors, prefer to use their own customized agreements. In some cases, the temptation is too great, and the customized agreement becomes so one-sided that seemingly advantageous terms become counterproductive. In other words, courts will not save you from yourself. You may have desperately needed the work. You may have been told that the written contract was just a formality for the lawyers. You may have been told “nawww, we just put that in the file cabinet and never look at it again.” But once a problem arises, the first thing we lawyers do is ask for a copy of the written contract. Words do matter; thus my entreats to clients to read the contract, or let me read the contract, before signing it or starting work. There are practical limits to unbalanced contracts because there are legal, business, and human forces pulling the relationship toward a state of equilibrium. Further, as contracts become increasingly one-sided, so too they become increasingly unstable and unpredictable. Some contract terms are simply dead on arrival. The legislatures in North Carolina and South Carolina have enacted statutes rendering some common contract terms unenforceable. For example, both states have enacted prompt payment acts and have enacted statutes rendering pay-if-paid clauses unenforceable. The legislatures have also enacted “anti-indemnity” statutes limiting the scope of indemnity clauses in the construction realm. Courts have created their own rules limiting the enforceability of contract terms. 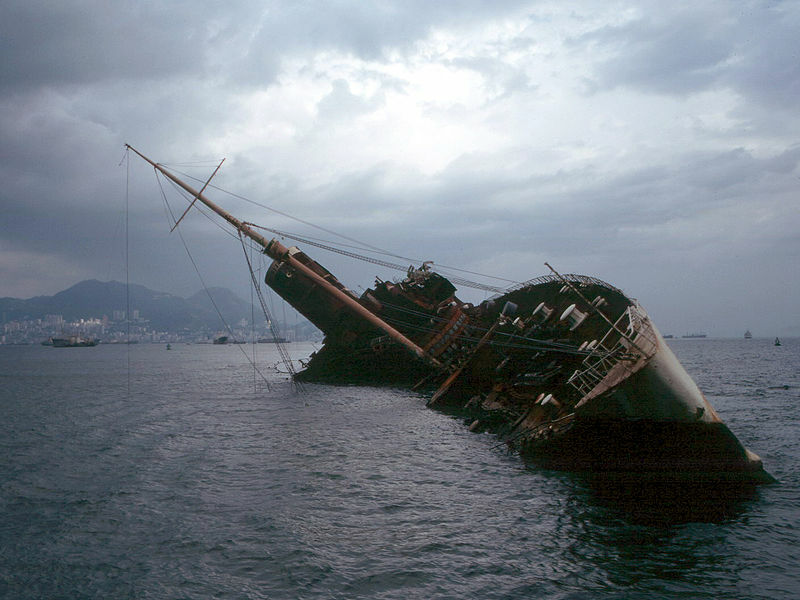 A liquidated damages clause which does not reasonably estimate actual damages suffered as a result of delay will be construed by the court as an unenforceable penalty. Also, courts will disregard strict notice provisions or written change order requirements under certain circumstances. Courts can also refuse to enforce contracts that it deems illusory or unconscionable. An unfair or unenforceable provision may threaten the entire contract. A particularly striking example of this occurred in Jackson v. Associated Scaffolders and Equipment Company, Inc., 152 N.C. App. 687 (2002), where the North Carolina Court of Appeals ruled that an unenforceable indemnity provision was not severable from the contract, and proceeded to strike the contract in its entirety. Finally, contracts can be so unbalanced that they become susceptible to a form of legal Aikido, whereby overly aggressive provisions can be used against the drafter. With some imagination and disciplined analysis, the unbalanced contract can flipped on its back. For the owner hiring a contractor, or a contractor hiring a sub, the success of the project depends upon the competence, integrity, and skill of those actually performing the work. Do you really want to hire someone who will sign a contract appointing your own vice president of operations as arbitrator in the event of a dispute? Or agreeing to pay half the contract balance as liquidated damages upon asserting a defense to your claim in court? Or granting you sole and unfettered discretion to determine the price of change orders? How strapped for cash must a party be to sign away such rights? One the other side of the equation, having the legal right to rake a desperate or unsophisticated subcontractor over the legal coals isn’t worth all that much when the project blows up. All too often, decision makers at reputable and established companies tell me that they will not bid certain work because the other party’s contract is ridiculously one-sided and offered on a “take it or leave it” basis. Market forces at work. The party seeking rigid enforcement of a brutal contract must overcome the innate sense of fairness rooted in most decision makers. People like Hobbits, not Orcs. One need look no further than landmark decisions by the U.S. Supreme Court for evidence of judges finding a way to reach a desired result. Arbitrators have even more flexibility in deciding a winner. Negotiating within a few standard deviations of the fairness bell curve is good business practice. At some point, however, the drafter will encounter diminishing returns due to the opposing forces identified above. Finally, an overly onerous or one-sided contract can actually work against or turn on its creator. Photos courtesy of WikiCommons. Photo attribution: Barry Loigman, M.D. 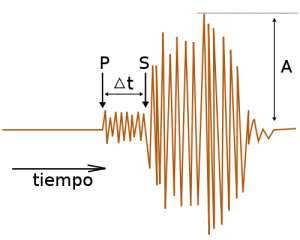 Diagram attribution: Georg Wiora (Dr. Schorsch). Jeff Humbert, Project Executive, Edifice, Inc.
Associated Builders and Contractors of the Carolinas’ annual conference took place in Wilmington earlier this month. During a break in the events, I sat down with Jeff Humbert, outgoing Chairman of ABC Carolinas, to talk about his tenure at the helm of the organization. While Jeff is among the most committed, hardest working members of ABC Carolinas, he also has a day job. Jeff is Project Executive for Charlotte-based general contractor Edifice, Inc., bringing 26 years of construction experience to Edifice with a focus on the industrial market. Jeff leads project teams and serves as the owner’s single point of contact from pre-construction through close-out. Jeff also oversees project managers and superintendents, and monitors customer satisfaction, schedules, quality, and budgets. Jeff holds a Bachelor of Science degree in Construction Management & Finance from East Carolina University. He also maintains a General Contractor’s License from the State of North Carolina and is a LEED Accredited Professional. In addition to his association and leadership in ABC-Carolinas, Jeff is also actively involved in the Tilt up Concrete Association, the National Association of Industrial Office Properties, and the Charlotte Region Commercial Board of Realtors. Shelton: You’ve taken the helm of ABC Carolinas in a particularly political year. How has ABC Carolinas engaged in the political process to represent the interests of its members? Humbert: Governmental affairs has always been a cornerstone of ABC, both nationally and locally. The motto ‘Get into Politics or Get out of Business’ rings loud and clear in Columbia, Raleigh, and Washington D.C. I visited the legislatures in Columbia and Raleigh with fellow ABC Carolinas members to meet with our local representatives and raise awareness about issues important to our members. 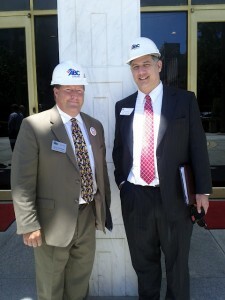 We have been conducting these annual events, which we call “Hard Hat Day at the Capital,” for years. We also foster relationships with leaders on a local level. Pat McCrory, our keynote speaker at this conference, is a case in point. We are proud to have the next governor of North Carolina share time with our members. While we have always been very active in representing our members’ interests, we stepped up to a whole new level in 2012. At last December’s planning meeting, I challenged ABC Carolinas’ members with what I called the B.H.A.G (Big Hairy Audacious Goal), which was to have a full time lobbyist representing ABC Carolinas in the North Carolina and South Carolina legislatures. We accomplished this goal earlier this year. 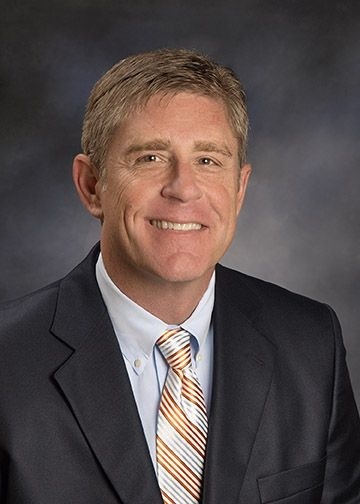 On April 9th, Doug Carlson, President of ABC Carolinas, announced to our membership that the ABC Board of Directors authorized moving forward to hire a Legislative Director for the Carolinas. With input from membership at events hosted regionally by ABC members, the slogan ‘Seize the Opportunity’ took hold, resulting in our hiring Benton Albritton as Legislative Director. Benton was born in Raleigh and graduated from UNC-Wilmington. He worked on the re-election campaign of Elizabeth Dole in 2008. In early 2009 Benton started working for Senator Burr in Washington D.C. until June, when his true calling to ABC was recognized. 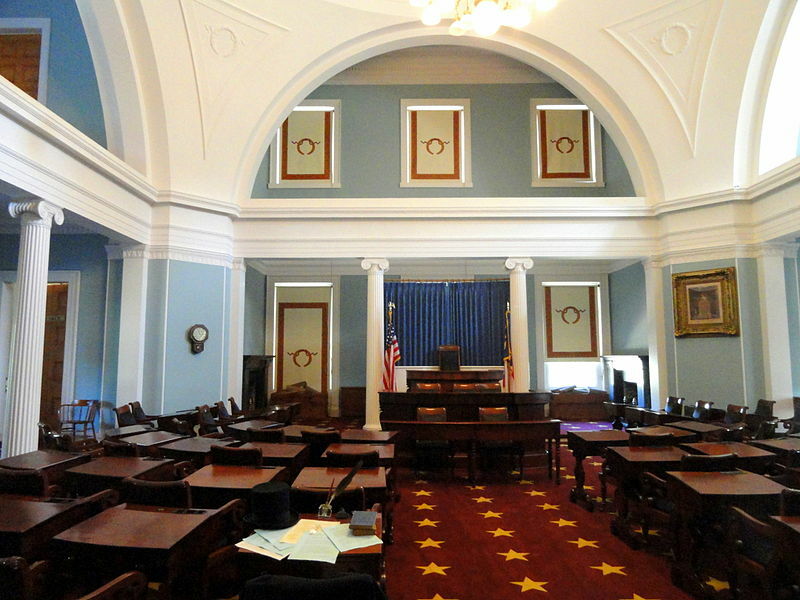 Filling the slot of Legislative Director will propel our organization in the years to come. The timing was right for us to take the next step and really increase our voice in government. I applaud our members for making this happen. S: What principles have guided you as Chairman of ABC Carolinas? H: I believe in basic business principles which include financial stewardship and a philosophy labeled as ‘The Value Proposition.” We are charged as individuals to lead and represent our beliefs; being a steward of member’s funds, investing in individuals, events, and programs to ensure our industry’s future is Job One. Our members are our heartbeat. To have the record membership growth and retention as we do speaks volume to the efforts of our staff and membership as a whole. I am a big fan of watching individuals grow when they work with their peers striving for a common goal. I’ve also been guided by the idea of efficiency and ownership. We’re making significant progress toward our goal of combining our corporate office space and our training center into a central location. Our goal of ownership is on the horizon, and we are closer to fulfilling our 3 and 5 year plan of having training centers and offices in our representative markets. Finally, consistency. The leadership of our organization has been strong for a number of years, and my goal was to leave the organization as my predecessor, Bill Caldwell (President of Waldrop, Inc.), left it for me: uncluttered, transparent, and stable. S: Are there any new developments in ABC Carolinas’ efforts to train and educate the construction workforce? H: A trained and ready workforce is key to our merit shop philosophy. We just completed our first full year at the new training center in Charlotte. We realized we had two options: One, grow by by offering existing services to more user groups; or Two, provide more services to existing users. The staff at the training center reached out to our membership base and core group users to determine their needs. As a result, we offered excellent courses which were well attended. Our training program continues to grow. In addition to our Charlotte training center, we are hosting classes and certification courses in Raleigh, Fayetteville, and on-site, to support the needs of our users. S: Thanks for sitting down with me and answering these questions. H: Glad to help. See you on the boat. As a surety professional, I know that contractors often have a limited understanding of how contractor bonding works. Oftentimes this is through no fault of their own; the process is complicated, and rarely do underwriters take the time to explain the process in full. Even experienced contractors who have worked in the industry for decades have questions about surety bonds. Furthermore, a great deal of contractor bonding information available online is inaccurate, hard to find or just plain boring. As such, this guide will answer common questions contractors have about the bonding process. How do surety bonds work, anyway? Before we get into the specifics of contractor bonding, you’re probably wondering what surety bonds are and how they work. A basic definition explains that a surety bond brings together three parties in a legally binding agreement. The agreement that’s made varies depending on the bond type. Generally speaking, though, bonds keep project owners from losing money on projects. They do so by forming a contract that involves a contractor, a project owner and a surety provider. If the contractor breaks the bond’s terms, the project owner can make a claim on the bond to gain financial reparation. If the claim is proven to be valid, the surety will be required to either resolve the problem or pay retribution. The bond’s indemnification clause will then require the contractor to reimburse the surety for any claims paid out, which is the key difference between surety insurance and traditional insurance policies. How do I know if I need a surety bond? Most states require contractors to purchase a license and permit bond before they can apply for their contractors license. This is a basic surety bond type that’s required of contractors in almost every state. Depending on your county, city and subdivision’s laws for contractors, you might have to maintain additional license bonds as well. At the bare minimum you’ll have to comply with your state’s contractor license bond requirements. When it comes to surety bonds that are issued for specific projects, however, the story is different. Dozens of individual contractor bond types exist; some of the most common ones are bid bonds, payment bonds, performance bonds, supply bonds and maintenance bonds. The federal Miller Act requires contractors to file payment and performance bonds before they can work on any publicly funded project that will cost $100,000 or more. However, the project owner will tell you if you need to get a contractor bond in other situations. For example, some cities even require bonds on public projects that cost $10,000 or less, and private project owners might also choose to require bonds. How often do I need to get bonded? The answer here primarily depends on how many projects you work on, the nature of those projects and the type of owners that fund them. Because public projects are funded by government agencies, they almost always require that construction professionals file surety bonds to ensure projects will be completed. This is why it’s important to build a relationship with a surety provider you can trust. You’ll want somebody on your side when you have to provide multiple bonds for the many projects you work on each year. What if I’m a small contractor? In theory, small contractors shouldn’t have any more trouble getting the bonds they need than do larger firms. In reality, however, this isn’t always the case. When it comes to license bonds, every contractor can be easily approved for the bond they need. The catch is that the rate the underwriter charges depends on the applicant’s credit score. If a small contractor has a poor credit score, the rate will be higher than typical bond rates. Small contractors generally have a limited cash flow, so paying for the bad credit bonds they need could be more difficult than it would be for large contractors in the same situation. When it comes to surety bonds issued for specific contracts, however, the problem gets trickier. Because so much risk is involved with construction contracts, surety underwriters are much more thorough when reviewing applications. This means applicants with poor credit can be flat out denied for the bonds they need, especially when it comes to expensive projects. Surety providers intend to avoid losses at all costs, so they assume applicants with bad credit are riskier than others. As such, they might choose not to issue bonds to those with bad credit. Fortunately the Small Business Administration operates a program that helps small contractors get the bonds they need. Contractors can qualify for the program only if they’ve been denied bonding by commercial surety providers. The SBA can guarantee projects up to $2 million. Although contractor bonding might seem like a hassle to experienced and emerging contractors alike, a greater understanding of how it works will help contractors prepare themselves for the application process. Hopefully this guide helps you along your way. 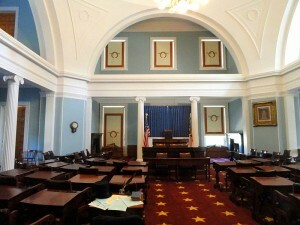 S42 and H1052 were signed into law on July 2, 2012. Most revisions will not take effect for many months and, therefore, the official codification in the North Carolina General Statutes will not be available for some time. I prepared the following document as a “look forward” to what certain portions of Chapter 44A might look like on April 1, 2013. Existing statutory language deleted by S42 or H1052 will not appear in this document. 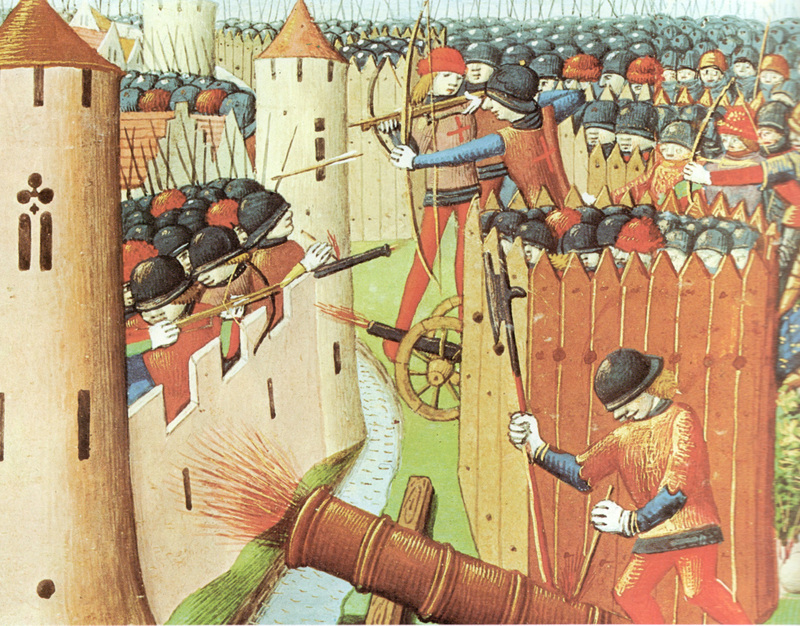 Additions from H1052 are shown in RED TEXT. Additions from S42 are shown in BLUE TEXT. The document is currently available at my firm’s website. Note: The above link will send you to an updated version of the document which now contains technical amendments (S847). Wednesday was a whirlwind of a day. I woke up hours before dawn and drove to Raleigh for the Associated Builders and Contractors’ NC Hard Hat Day at the Capitol. The annual event brings ABC members to North Carolina, where we don white hard hats and meet with state senators and representatives to discuss issues important to the construction industry. It rained the entire way, and I barely made it out of the Vortex of Chaos (where West Edenton Street and Hillsborough Street slam into each other and fight each other for supremacy) to reach Natty Greene’s for the briefing session and a blueberry muffin. What’s that, Diary? You say you want to know about the proposed amendments? That’s fine, but first you’ll need to know what a hidden lien is, and what’s happened before. 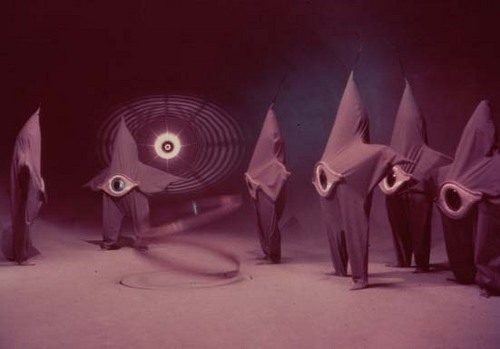 So I’ll provide the wavvy lines and flashback music while you look here and here and here and here. So you see, title insurance companies don’t like hidden liens, and want to solve the problem by requiring the potential lien claimants (particularly subcontractors and suppliers) to provide some form of notice before closing. On the other hand, some subs and suppliers don’t want new paperwork hurdles dropped in front of their liens. These opposing forces, combined with the short legislative session, resulted in a bill which avoided the hidden lien issue altogether. Once I saw that hidden liens were off the table this year, I predicted that Senate Bill 864 would become law. Now, after the latest development, I’m not so sure. The title insurance companies have floated a proposed bill entitled “An Act to Require Persons Filing Claims of Lien on Real Property for Improvements to Real Property to Give Written Notice to the Designated Lien Agent of the Owner of the Improved Real Property.” The proposed bill would require potential lien claimants to serve a “lien agent” with a “Notice to Lien Agent” identifying the project, the building permit number, the property description, and the contact information of the potential lienor. Under the proposed bill, the “lien agent” could be an attorney, a title insurance company, or a banking institution. The lien agent would be identified on the building permit; if the project did not require a permit, the owner would be statutorily obligated to provide the lien agent information upon request. If a potential lien claimant failed to provide notification to the lien agent before conveyance of the property, he would be barred from filing a claim of lien against the property. The “lien agent” differs from the Florida-style “Notice of Commencement” (filed by the owner) and a “Notice to Owner” (filed by the subcontractor/supplier and served on the owner) approach in two major ways. First, under the “lien agent” approach, the building permit would serve as the owner’s formal notice. Second, the lien agent, a private entity, would replace the Clerk of Court as the clearinghouse for notices. But from the sub/supplier perspective, a formal notice to owner is required either way. The plot thickens in this three year saga. But there’s more to come. Another draft of the “lien agent” legislation is expected from the North Carolina Land Title Association on Monday. This newest version would be routed to Judiciary B Committee next week for consideration. I’ve been keeping you apprised of the continuing effort to overhaul North Carolina’s lien law. Things went a bit more formal yesterday, as Sen. Brunstetter filed Senate Bill 864. The bill is summarized in my update here, though I’m sure I’ll be commenting on the various parts of the bill in the days to come. To a casual observer, many of the proposed revisions look stylistic or minor. This is not the case. North Carolina’s lien law is an amazing piece of legislation, and a word here, a definition there, can make a huge difference in whether and how lien rights are enforced. I predict that SB 864 will pass, but a lot can change between now and the end of the legislative session. I’ll keep you updated as this bill works its way through the halls of power in Raleigh. It’s Monday. Time for another pop quiz. A developer hires a home builder to construct a four-unit condominium project in South Carolina. The home builder is a limited liability company (“LLC”), with one of its two members holding a residential home builder’s license. As the project progresses, the relationship between the developer and the LLC deteriorates and the LLC ultimately leaves the project. The developer uncovers a number of construction defects and sues the LLC and the license-holding member for nearly $1 million for negligence and breach of warranties. May the individual member of the LLC be liable for negligent construction of the condominium? Yes, because the protection provided by the LLC will not shield a member from his own negligent acts, even if those acts are committed in furtherance of the LLC’s business. Before I cause a panic, note that an LLC member will not be liable simply because another LLC member committed a tort in furtherance of the LLC’s business. In this way, the LLC offers greater protection than, say, a good old fashioned business partnership because you actually have to do something wrong before you can be liable. We’ve covered the legal part–fine and dandy–but what did the individual member, Mr. Aten, actually do wrong? Its not very clear from the court’s written opinion. In the summary of facts, the court writes: “As the general contractor, it was Aten’s job to supervise the project.” Is simply holding a contractor’s license while acting as general contractor enough to create an automatic statutory liability? Based on the opinion, the answer is “No” because the supreme court expressly disagreed with the trial court on that very point. After going through the opinion and corralling all of Mr. Aten’s activities, we learn that Mr. Aten selected the subcontractors, set design standards, and answered subcontractors’ questions about their work. Pretty vague. With its decision in 16 Jade Street, South Carolina joins other states holding that a business organization structure such as a corporation or LLC will not protect an active tortfeasor from personal liability for his own torts. In last May’s post, Builder Beware! NC Court Holds Corporate Officer Personally Liable for Defects, I told you about North Carolina’s holding in White v. Collins Building, Inc., 704 S.E.2d 307 (N.C. App. 2011), where the North Carolina Court of Appeals held that an officer of a closely held general contracting company could be individually liable for the company’s defective work. The plaintiff in that case successfully argued that the president of the home builder corporation negligently supervised the construction of the home. My takeaways on the 16 Jade Street case: First, we probably haven’t heard the last of this issue, as is evidenced by the 3-2 split of the supreme court. Second, officers, employees, and members of business organizations should expect to be sued personally for the negligent acts they commit while at work. And third, as one’s involvement in a project or task increases, so increases their exposure to liability. Good documentation practices and procedures have never been more important. For those of you seeking more information about the White decision, and for those of you seeking a better understanding of the legal concepts involved in South Carolina’s 16 Jade Street decision, please refer to my article in the May 2011 edition of Change Order entitled Water Water Everywhere.